I traded a Bosendorfer Baby Grand Piano, which I no longer had use for, for a beautiful Feurich upright at Marcus Roberts branch in Oxford. Marcus found the Feurich for me and his team worked hard on the piano both technically and cosmetically to an impeccable standard. I am now in posession of an instrument which I will undoubtedly have my entire life. It is that kind of instrument – one that you hope to pass on. Throughout the process Marcus and his team were professional, knowledgable and flexible. I recommend their service very highly. We love the Bosendorfer Imperial Grand piano. Your patience and support and help..
We love the Bosendorfer Imperial Grand piano. Your patience and support and help for us in making the purchase has been excellent and delightful… including giving over almost a whole day to us, running us around Oxford to view pianos, taking us to visit your very impressive workshops, where everyone had the quiet, confident friendliness of true craftsmen and, not least, suggesting a very good local Italian restaurant where we had lunch. Your company has the real warmth of the family concern that it is, where everyone is highly knowledgeable about, and devoted to, beautiful pianos.” Alison and Daryl Truefitt, London “We purchased a Broadwood barless grand from Roberts Pianos and we asked them to carry out further restoration work on the piano. We were very impressed with the level of commitment and professionalism shown by Marcus Roberts and his team – they are clearly perfectionists, and they were determined to restore our piano to the highest standards. Marcus was happy to spend time keeping us up-to-date and showing us the work in progress when we visited. I would recommend Roberts Pianos to anyone looking for a high level of personal service when buying a piano. I recently purchased a fine Bechstein Model C semi-concert grand from Roberts Pianos. I recently purchased a fine Bechstein Model C semi-concert grand from Roberts Pianos. Blaine and Josh did a first class job delivering and safely installing the piano under somewhat challenging conditions. Marcus subsequently carried out a first complimentary tuning and regulation, and I am now in possession of a marvelous instrument that I will enjoy playing for the rest of my life. 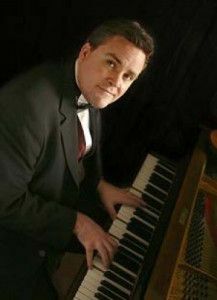 I highly recommend Roberts Pianos to all who appreciate good ‘old-fashioned’ service where the needs of the customer come first. Thank you so much for your assistance with one of our piano students. Thank you so much for your assistance with one of our piano students. She said that you were wonderfully helpful and couldn’t be happier with the service that you provided. I will definitely be recommending you again. Excellent service – delivered a piano at five days notice, in time for Christmas. Managed to deliver early in the morning and set up without waking the recipient. Thoroughly helpful and professional in all aspects of the service provided. I would just like to thank you for your very efficient service. I thought I would send you a few lines expressing my gratitude to you and your team for the fantastic job they have all made in reconditioning my Steinway grand piano. The outcome is a beautiful piano, the rosewood veneer now looks just like it was over hundred years ago. Truly magnificent and the polishing by Mana was a great work of art. The high polish looks fabulous in the snooker/piano room. The interior again looks like brand new and is joy to behold. The sound is splendid, I just wish for the first time in my life that I had carried on with my piano lesson so that I could enjoy playing it now. To say I am pleased with the result is an understatement. The men who did the actual removal and reinstallment were extremely nice and very courteous I would be more than happy to recommend your Company at any time. Just to let you know how thrilled I am with my Yamaha G3E Piano which arrived very promptly this morning. The men who brought it were very efficient and shared in my excitement which made the arrival of the piano even more special! I was also very impressed that one of them had gone in on his day off yesterday to make sure that I got the piano today! I am over the moon with the instrument. It has stayed well in tune and looks fabulous in my room. I am also pleased with the stool. I am looking forward to many happy years of teaching and performing on such a lovely piano and I am very grateful to you for making it possible. I will, of course, recommend Roberts Pianos to friends and colleagues. With very many thanks and every good wish. What can I say?! More than “I am delighted with my new piano”, it’s a fabulous instrument and a real credit to Wendl and Lung. I still can’t quite believe such a terrific instrument comes at such a price tag. It’s as credible as a new one costing over £20,000 (and then some). I very much hope to be turning my rental into a purchase over the next year or so having traded up from a Wendl and Lung upright. What an excellent scheme this is. The delivery guys seriously earned their wage this morning getting the Piano into my house. They persevered with the minimum of fuss. Great work, there from the Team. Please pass on my thanks to them. Finally, thank you to Norita and Marcus for running such a slick operation and for trusting me with your instrument. I can assure you I will look after it and hope, one day, to be the rightful owner. I believe I am now officially what could be called a Wendl and Lung advocate. I recently traveled from Iceland to Oxford searching for a piano, and there I found this beautiful 1923 Steingraeber upright that I just fell in love with. If it wasn’t for the guys at Roberts I wouldn’t have been able to make this a reality. Their undying patience and willingness to help just went above and beyond what you’d expect. And the piano itself, I couldn’t be more impressed. It’s in fantastic condition, flawlessly regulated and just beautiful. P.S. : Incase anyone’s having any doubts about international shipping, you should have seen the crate they built for me. I suspect it was bulletproof. I enjoyed watching most of your videos on Youtube. They are very informative indeed and I have learned quite a lot of them. The reason I have bumped into these videos is that I was on the verge of purchasing a 1.96m 1892 Blüthner aliquot grand piano and was looking for some more information about this piano builder. This instrument had yet to be restored, so I waited what the result would be after the works being carried out. I was – and still am – stupified! In short: the instrument now graces my home. To my amazement the restorer/dealer said that in Belgium there is little interest in these pianos. I came across a similar instrument in the 1980’s through my professor Jos van Immerseel, who was lucky enough to borrow it for a while from its owner. I played it many times at Jos’ home with a lot of pleasure and its sound never left my memory, so my heart sprung up when I came across the instrument I have got in my possession now. I simply would like to thank you for your enthusiasm and high esteem of Blüthner, a feeling we apparently share, and for sharing part of your knowledge. Just a short message to say we are very happy with the Knight piano that was delivered on Friday. Just a short message to say we are very happy with the Knight piano that was delivered on Friday. It is lovely to play and looks great in our living room. We are sure it will provide many years of pleasure and will be ideal for our son to learn on. It is just about a year since we bought our Wendle and Lung 178 grand piano and we can say that every aspect of service from Roberts has been very good. They have met our (high) expectations and been responsive to our needs. Firstly, we are very happy with the piano itself. It has a lovely balanced tone which suits any type of music and is very responsive. It is admired by all our guests, especially the birds eye maple inlay, and the matt black keys are very pleasant to those of us who suffer from sweaty hands under pressure! Secondly, the service was very good. We received useful advice in the show room, the piano was delivered very quickly, in time for Christmas, and the delivery men who came on a day pouring with rain, were efficient and kept the place very tidy. From a sticky key to toning and tuning they have been so helpful and prompt. I doubt we will be back soon but only because we are so happy with our piano! We would not hesitate to recommend them to anyone who wants a good quality piano with a range of prices to suit most pockets. I will be recommending Roberts to all I come across! I would thoroughly recommend Roberts Pianos. I went to the Oxford workshop and spent two hours asking all sorts of questions as this is the first piano I have ever purchased! I had a tight budget but wanted to know that what I have purchased is good quality and will last. I only met lovely helpful gentleman including those that delivered it. We have a small house and they took the utmost care to not damage our house or the piano, they were friendly and timely. After visiting several reputable shops in London that seemed too commercial and impersonal – I made my way to Roberts Piano. All staff we have met have been amazing, but, it would be hard to come across another Marcus. I will always remember how he cycled from another shop just to serve us! Later, I took my son’s teacher with us who was treated with great respect and was encouraged to try many pianos. Marcus’ workshop is full of pianos being restored from impressive grands to fantastic uprights. It is worth visiting just to see how the world of pianos works! 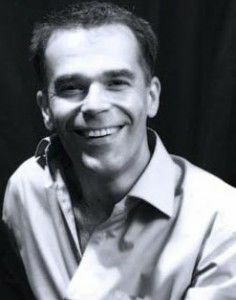 We loved watching Marcus working on Pianos himself – his impartial advice and service has been exemplary. As a result: my son now owns a Feurich piano that will stay within the family for years to come. Leaving a testimonial is not something that I would usually do however after the service I received I felt I should give the team at Roberts Pianos a big thank you, I took a gamble buying a piano without seeing or playing it and to be quite honest did not know what to expect on delivery, well the piano was delivered very promptly and was in first class condition, well regulated and serviced. My experience of using Roberts pianos is a good one and would recommend them to anyone thinking of buying a piano. I couldn’t help noting how professional and friendly all the staff who dealt with my piano were, including delivery, communication,and dealing with the technical problems. A big thank you to especially Marcus and Mana who came to put everything in perfect order.They are truly friendly people and I would definitely recommend the Roberts piano to anyone. 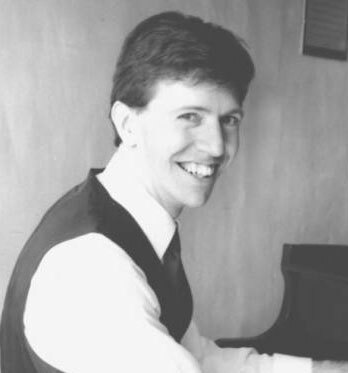 When Roberts Pianos purchased a piano from me, what clinched it for me was: (i) you took care of the removal, and (ii) you were very prompt in coming to inspect the piano, close a deal quickly. I found all your staff, including the movers, extremely professional and a pleasure to do business with. [My] Bluthner baby grand piano has arrived safely and is now in place. My late father’s Bluthner baby grand piano has arrived safely and is now in place. I could barely wait for Theo and his delivery colleague to leave before I played it. What a joy it is to have a piano with a superb action and a wonderful tone. It looks fabulous too and I’m delighted to have it with me; it will give me and my family years of pleasure. Do please pass on my thanks to all those who have worked on and restored it so well. I just wanted to say that as a citizen of the US, who rarely gets to your country – I wanted to thank you for your pianos and videos. I hope one day to reach your pianos to hear them and play them in person. Thank you for your artistry! Unlike other instrumentalists who can carry their instruments with them, pianists are more reliant than most musicians on the people who maintain and care for the instrument. For that reason there has always been a strong relation between pianists and piano makers, technicians and tuners (e.g. Beethoven and Broadwood, Chopin and Pleyel, Liszt and Bechstein, Gershwin and Steinway, Richter and Yamaha, etc.). 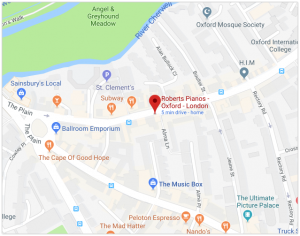 Oxford is really fortunate in having Marcus Roberts and Roberts Pianos. 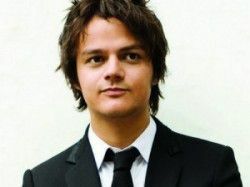 He has shown the same care and attention to the need of the professional pianist as any of these famous names from the past. For my annual Oxford Summer Piano Series Marcus went out of his way to make sure I had a superb instrument on which to prepare 8 taxing recital programmes while visiting the city, and his help has been invaluable. I would also not hesitate in recommending his business to the amateur pianist as much as the professional. All budding pianists, of whatever age and whatever level of skill, should always have access to the best instruments available, and Roberts Pianos, whose instruments are superbly maintained, is in a unique position to help.